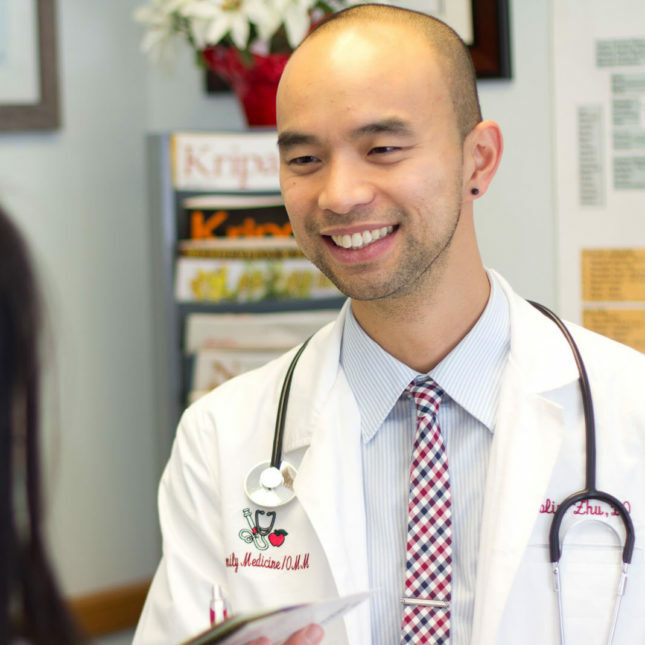 Dr. Colin Zhu thought about starting a family practice. But the 33-year osteopathic physician realized all the management, paperwork, and financial overhead might distract him from what he enjoyed most: seeing patients. The practice is known in the industry as “locum tenens” (Latin for “to hold a place”) — working shorter, contract gigs instead of taking a full-time job. That choice used to come with a stigma; patient data suggested freelance doctors weren’t as skilled as those with more stable careers. Today, though, the skills gap seems to have closed as more and more doctors opt for the flexibility of contract work — and more and more hospitals, desperate to fill staffing shortages, bring them on board. Since 2002, the number of U.S. doctors working freelance has nearly doubled to 48,000, according to a survey from Staff Care, a locum tenens staffing company. And some health care recruiters predict that number will double again in the decade to come. Contract doctors say the perks are undeniable at a time when roughly 1 in 2 doctors is dissatisfied with the profession: They often earn more on an hourly basis, they don’t have to wait for insurance reimbursements to get paid — and they decide when and where they’ll work, then clock out without guilt when their shift ends. Thanks to locum tenens, a veteran physician from Arkansas can live on a sailboat and travel between gigs. A hospitalist from Texas is paying off his medical debt faster than he could with an entry-level job. And Zhu, a native of New Jersey, is trying out different clinical settings to see what he likes best. He has already practiced medicine with Native Americans in Nevada, military veterans in Louisiana, and refugees in Washington, landing the jobs through a health care staffing firm. In exchange for a cut, these firms may cover everything from housing to travel to medical malpractice insurance. “I get to focus just on practicing medicine,” Zhu said. Between the gigs, he even has had enough free time to launch a healthy cooking series, “The Chef Doc,” on YouTube. As for hospitals, they rely on physician temp agencies to effectively serve as headhunters in the midst of a doctor shortage that could grow to more than 100,000 by 2030, according to the Association of American Medical Colleges. Jeff Decker, president of Staff Care, said a survey his firm conducted found 94 percent of health care facility managers last year worked with contract physicians. Hospitals may pay temp doctors more per day — anywhere from several hundred dollars to more than $2,000, depending on the specialty — to offset irregular work schedules. But the temps save them from having to turn away patients. It wasn’t long ago that hospital administrators and established physicians looked down on locum tenens doctors. Melissa Byington, group president of national health care staffing firm CHG Healthcare, said the freelancers were seen as not qualified enough to land full-time work. And when they did come in on a contract, they weren’t always successful. As a result, Jena said, a decade ago patients of temp doctors were more likely to die. But his analysis of newer data, for a paper currently under review, found the mortality gap has shrunk considerably since then. One potential reason: Hospitals may be hiring better locum tenens doctors now that the pool of qualified practitioners willing to do temp work is growing. Byington also suggests that bringing in freelance doctors can elevate the overall quality of at a hospital by giving staff physicians time off and helping them avoid burnout. Dr. Sam Lalani, a 40-year-old hospitalist who lives in Dallas, turned to freelancing when he realized that he’d rather pay off his medical school debt now than accrue retirement benefits that he couldn’t tap for decades. The father of three now drives 100 miles round trip to the small town of Cleburne, Texas, for up to 10 shifts each month. He fills in the rest of his work schedule with rural hospital gigs in Colorado, Nebraska, and Oklahoma. There are downsides to temp work, Lalani said. It’s hard to develop meaningful patient relationships. He doesn’t know if he’ll do it forever, in part because the road takes him away from his children. But freelancing has granted Dr. Robin Mangione, a former full-time family doctor in Fayetteville, Ark., a new lease on life. After her son left home in 2014, she and her husband decided to sell their house to live on a 38-foot sailboat. She became a contract doctor who traveled the eastern seaboard between the gigs she got in Florida, Pennsylvania, and New York. The freedom of the freelance life has fueled Mangione for three full years — and maybe another three to come. I have been doing locums work for several years now, and my experiences have been overwhelmingly positive. The people I work with are always helpful (e.g. helping me navigate unfamiliar software) and friendly. My work load is not excessive, and I have the opportunity to learn from other doctors by reviewing their treatments and treatment plans. Also, I get to work as much or as little as I want, and I have the opportunity to meet and work with people from all walks of life. Being away from home is a drawback, but on balance I am very satisfied with my role as a locus tenens physician. Lisa- I’m sorry to hear that your experiences have not been great. This should be a positive and stress free experience for you. The majority of my clients have the same physicians return to help with their coverage each time. The success of a partnership with an agency, depends largely on the quality of the physicians that are being presented as well as the relationship with the recruiter that you work with. If your agency is not understanding your true challenges, your initiatives, etc. and you would like a more positive overall experience, please reach out to me! I have not been impressed overall by our locum tenens, who largely travel in from 12 hours+ away. Distracted by concerns at home, no attachment to ourcommunity, tending to keep to themselves socially because their “real life” is elsewhere. From a human standpoint, its success appears limited to those who can take their lives with them. Contract work is increasing, but this may be due to reasons other than physician shortages. The locations of contract work are most commonly in places of higher physician concentrations – not lower. Physician shortages are in lowest physician concentration zip codes and counties. These are places that have 90% generalists and general specialty services, the worst paid services, and the payments are 15% lower in these places. They already have $100,000 cost of turnover per primary care doctor per year because of the aberrant financial design. They can ill afford the much higher cost of contract workers. A better case can be made that salaried physicians have been squeezed by major increases in time demand without hope of more pay for more time and complexity. Moving to a job that pays per hour rather than requiring 15 – 20% more hours for the same pay does seem attractive as seen in 50,000 primary care docs as hospitalists, 15,000 in urgent care, and 25,000 in emergency room positions. The financial designed decline in primary care fuels the changes in contract work. A pivotal test of malaria vaccine is set to begin. Can it live up to its promise?